Here you can learn the nature of the message that the mirror hour 07:07 has sent to you. This is something that your subconscious has marked as important, so it is reasonable that you would want to know exactly what it signifies. If you have often witnessed a synchronicity in the form of the hour 07:07 then your mind certainly has some information that it would like to share with you! 07:07 has strong symbolism, and the number “7” is present in all major religions whether that be in the seven heavens of Islam, or in the number of days needed for creation as indicated in Genesis of the Old Testament. It is also a common link in the basis of the Jewish and Christian faiths, as the 7th day is a day of rest and contemplation on the divinity of creation. It is therefore completely normal to find seeing the mirror hour 07:07 as somewhat strange. Here we are going to provide you with the significance of this hour with the help of the guardian angels, as well as through numerology and the Tarot. Feel free to share with us your impressions in the comments. It appears that you are going to have some kind of awakening! You have spent a long time analyzing and studying various fields such as ecology, technology, spirituality, politics, the economy, etc. You are going to have a kind of revelation. You are now able to understand that everything has an intrinsic connection. This will help you to see the world as it really is! You are going to experience a shift in your ability to grasp the events in your life, which will be of great help to you! Your awakening to the spiritual world will now give you access to facets of your personality that you never thought existed. An inner transformation is taking place, can you feel it already? The guardian angels are telling you that you will meet success if you develop a partnership or collaboration with people that you find on the same path as you. You have a huge amount of ideas and you can express them fully. You can sense that something is happening without being able to explain it, and you need to bring innovative solutions to all areas of your life! 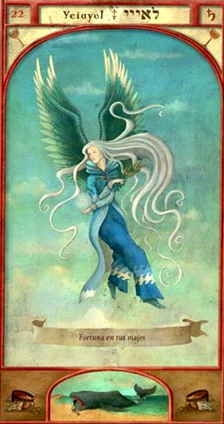 The mirror hour 07:07 is a positive affirmation on behalf of the angels; they believe that you are currently following the right path! They are beside you to help in your spiritual development. You've probably heard that little voice inside of you giving you confidence and motivation. You should follow it without hesitation! The guardian angel corresponding with 07:07 is Yeiayel whose period of influence extends from 07:00 to 07:20. He symbolizes Honor and Prestige! He is like a lucky charm. He brings you good fortune and guides you in overcoming the challenges of life. He is a powerful spiritual guide who shares knowledge of the different planes of existence. He helps you obtain glory and recognition; he turns you into a charismatic leader who knows how to get your ideas across with a gentle touch. He teaches you to cultivate mutual support and solidarity with others. If you intend to carry out research, you will make some fantastic discoveries. 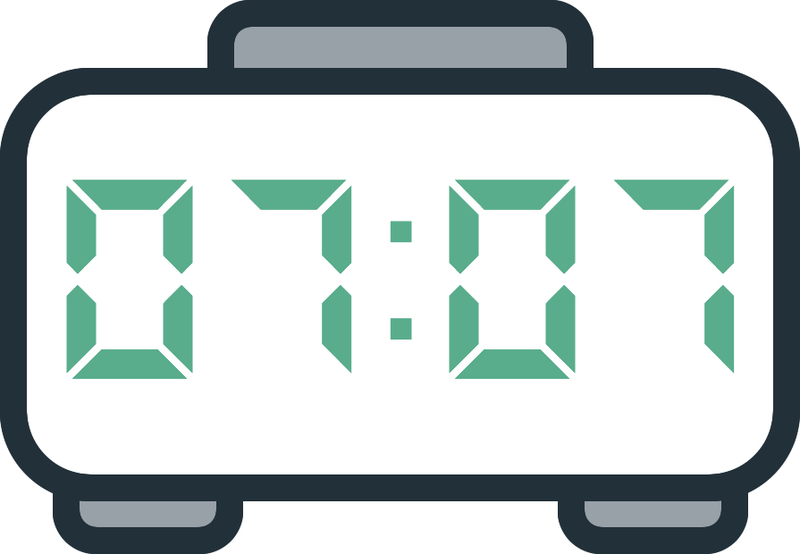 What does 07:07 mean in Numerology? The total value of the mirror hour 07:07 is 14, which is very telling! This number shows that you harbor a great sense of curiosity. You explore all subjects and you enjoy your mind. You are aware of your intellectual capacities; this allows you to reach goals which would seem unattainable for many others. You manage your life in the best possible way and this gives you immense freedom. You are a determined person who knows what they want, and your success will add up! This can sometimes lead to jealousy in others. Take care not to say too much when you share your success with others. This will avoid bad reactions. The number 14 shows that you are in pursuit of balance. This explains why you thirst for information on so many subjects. But you should exercise diligence and concentration or you will risk losing everything. There are many paths to explore, but think on this: When we are young, we run, because we want to explore everything that we can. As we grow older, we walk, because we have learned the right way to go! You have great skills of communication and your ability to express yourself in public can do wonders! You can certainly envision yourself in a career which requires putting yourself forward and you are able to bear a great deal of responsibility. You are unafraid to manage a project, and leading a team is what you were made for! 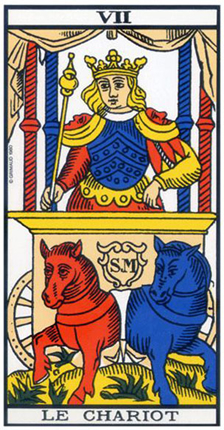 The Tarot card corresponding to 07:07 is the Chariot. This Arcanum indicates that you will be very lucky! It guides you towards success and accomplishment. It can also be a sign of a journey or of moving house. Get ready to change location! The Chariot is a very positive card. There are definitely going to be changes in your life, but the good kind! You are going to meet success in your love life, work life, and your financial life. It is as if you are being whisked towards the future and there is no time to think about the mistakes of the past. You are going to meet with phenomenal success! But as you would have guessed, this is only the first part of the message of the mirror hour 07:07. Every card must always have a negative interpretation as well. When the Chariot emerges in a bad position in your reading, it indicates an important decision. You are going to have to choose the right path, and there is no room for mistake! A romantic interpretation of the Chariot indicates that you are going to have one or several affairs. A journey may be the beginning of a beautiful love story. In your work, the card refers to progress and promotion. You are going to surpass the goals that you set for yourself. In financial matters, you are not going to want for money ever again! Any comment on the 07:07 mirror hour? Wow this is explained so well. I just lost my mother last year November and I have still not recovered because she was my all. And being the last born in my family I also realized that all my siblings are doing much better than me. I am going through a lot currently and yes we are moving at the end of this month to be honest all of these things that you have shared here are accurate with my life. But I am also worried because I think I am still depressed about the event of my mother. But I am so grateful for this kind of information. I loved the message! Truly did! It’s pretty interesting because I was about to move to my mother house again and leave my toxic and depressed roomate ! I tried for months to help her but got depressed myself because of the bad vibes ! Thank you Universe and my lovely Angels/Archangels! I m regularly seeing mirror hours in clock, on vehicle number plates double digit specially 11:11 mirror hours and other double digit mirror hours. In mobile, license number plate etc etc. 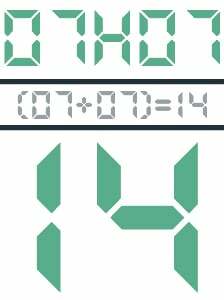 But nothing happens synchronicity, or meaning found on various websites on mirror hours, numerology. But life is passing from very tough and painful hours. I am expecting just the best! Interesting. Just came to this cause I’ve seen so many repetitive numbers like this today, kinda freaked me out. I m passing throu a really bad break up. Where the ex is planning with your best buddys to kidnap you and to lock you up in a room, where police is my second house and whre i can feel safe. I m broke with no house and still no job yet. Where the only thing keeping me going are my angels and their protection. They send me dozen of messages just to keep me going. To carry on so that the only thing i m tring. This is right on time & resonates with what is going on in my life presently. I wake up to watch ths message again! I can feel your love dear Yeaiyel, thank you! I really need to erase past mistakes and move forward.